DR. MINDBENDER was at one time an excellent orthodontist and a very kind and honest man. His personality was drastically altered when he experimented on himself with electronic brainwave stimulation. He changed into an egotistical madman filled with hatred and deceit! 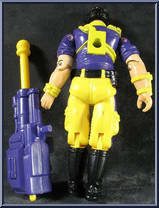 Even COBRA COMMANDER disliked him and buried him in a tanker deep beneath a volcano on Cobra Island. After bionically enhancing his badly damaged body with various machine parts, he barely escaped with his life. 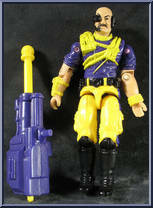 He eventually proved himself worthy of Cobra Commander and re-enlisted as a member of Cobra. Contribute pictures, update details or suggest corrections for Dr. Mindbender. Write a review about Dr. Mindbender.